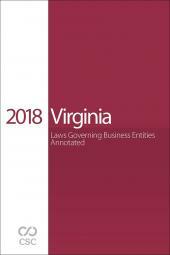 Egan on Entities: Corporations, Partnerships and Limited Liability Companies in Texas is a comprehensive treatise on corporate, partnership and limited liability company law. It was developed as a way to collect experiences in dealing with the formation, governance, sale, and termination of entities. Byron F. Egan is a partner of Jackson Walker L.L.P. in Dallas. He is engaged in a corporate, partnership, securities, mergers and acquisitions (“M&A”) and financing practice. Mr. Egan has extensive experience in business entity formation and governance matters, M&A and financing transactions in a wide variety of industries including energy, financial and technology. 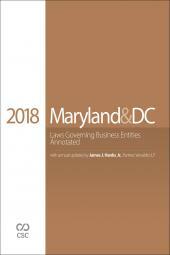 In addition to handling transactions, he advises boards of directors and their audit, compensation and special committees with respect to fiduciary duty and other corporate governance issues, the Sarbanes-Oxley Act, special investigation and other issues. Mr. Egan is Senior Vice Chair and Chair of Executive Council of the ABA M&A Committee and served as Co-Chair of its Asset Acquisition Agreement Task Force, which wrote the Model Asset Purchase Agreement with Commentary. He has been Chair of the Texas Business Law Foundation, the Business Law Section of the State Bar of Texas and that section’s Corporation Law Committee. 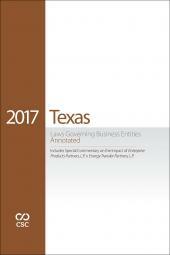 On behalf of these groups, he has been instrumental in the drafting and enactment of many Texas business entity and other statutes. He is also a member of the American Law Institute. Mr. Egan writes and speaks about the areas in which his law practice is focused. He is the author of the treatise EGAN ON ENTITIES: Corporations, Partnerships and Limited Liability Companies in Texas, which addresses the formation, governance and sale of business entities, including an analysis of the fiduciary duties of their governing persons in a variety of situations. Mr. Egan received his B.A. and J.D. degrees from the University of Texas. After law school, he served as a law clerk for Judge Irving L. Goldberg on the United States Court of Appeals for the Fifth Circuit. For over twenty-five years, Mr. Egan has been listed in The Best Lawyers in America under Corporate, M&A or Securities Law. He is the 2015 recipient of the Texas Bar Foundation’s Dan Rugeley Price Memorial Award, which is presented annually to a lawyer who has an unreserved commitment to clients and to the legal profession.